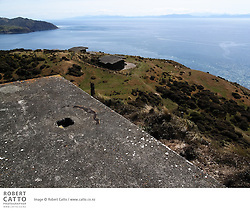 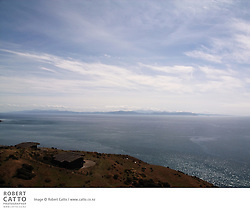 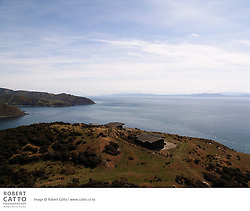 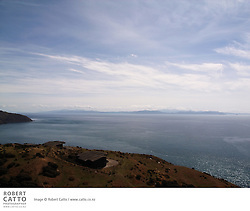 The New Zealand Walkway track at Makara Beach in Wellington leads to a historic WWII gun emplacement, looking out over Cook Strait towards the South Island. 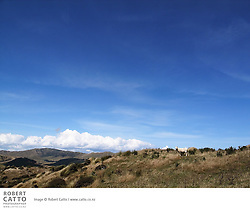 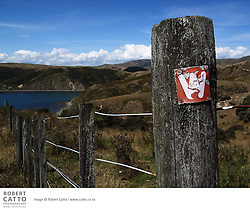 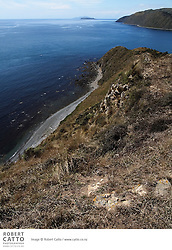 The high cliffs and spectacular views that are features of Makara have for centuries provided the people of the area with good vantage points for the defence of their land. 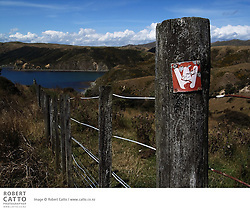 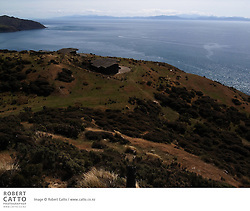 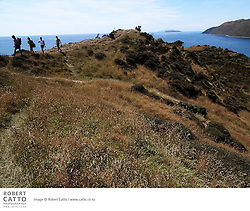 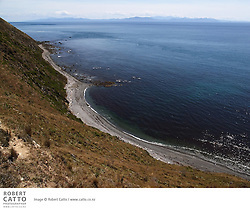 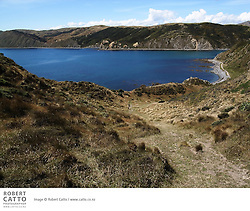 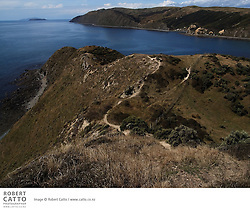 Makara Walkway is a 6 km loop, climbing to vantage points with spectacular views, and returning along the beach. 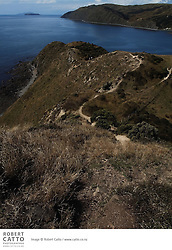 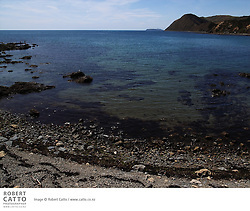 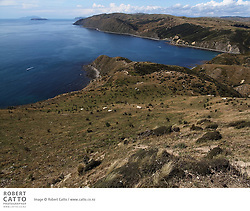 A Ngati Ira pa site lies on the promontory at the western end of Fisherman's Bay, and gun emplacements at the top of the cliffs mark the position of Fort Opau, which was garrisoned by 100 soldiers during World War II.